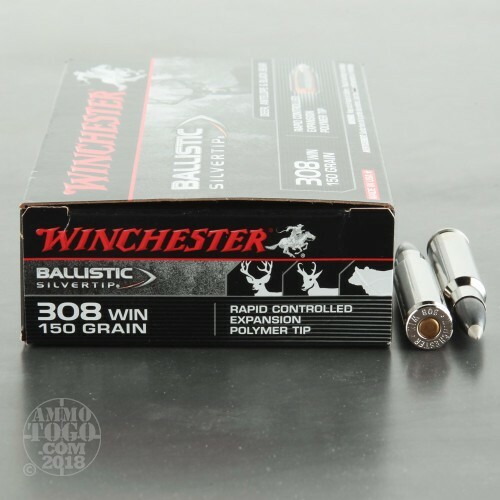 The 308 is one of the most popular rifle cartridges in America. It has been in service since 1952 and is a great combination of performance and price in today's ammunition industry. Used for decades by the US Military and government services, this round has proven itself to be an effective and capable round. 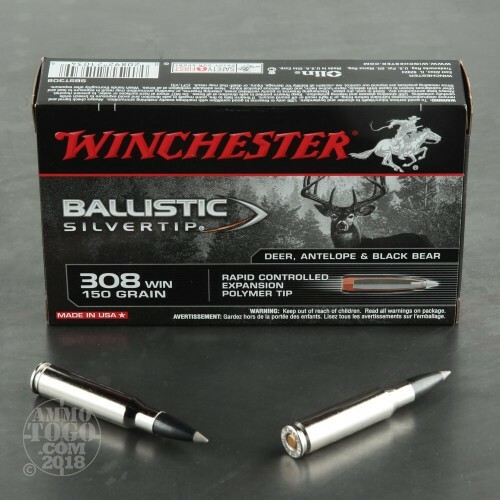 These new production rounds from Winchester come loaded into premium nickel-plated brass casings that are boxer primed and re-loadable. 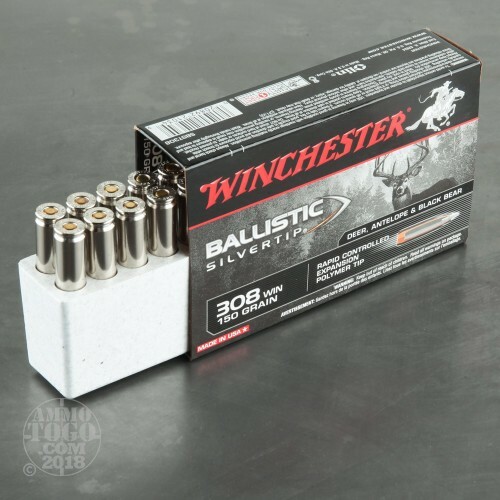 Each projectile in this box of 20 is a 150 grain Silver Tip Hollow Point that offers fantastic expansion, accuracy, and destructive knock down power. 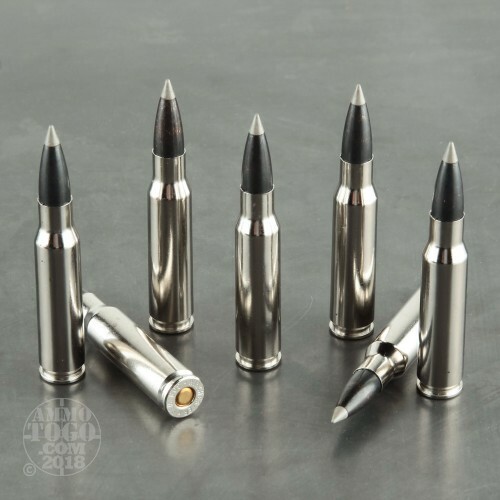 This perfect rounds for your next day out in the field big game hunting!